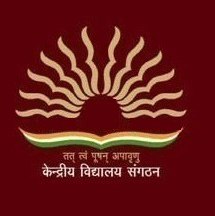 KVS 6205 POST YEAR 2016 - . Age Limit: Candidates age should be between 35-50 years for Post I, Upper age limit is 40 years for post II, Upper age limit is 35 years for Post III, Upper age limit is 30 years for Post IV as on 31-10-2016. Application Fee: Candidates should pay Rs. 1200/- for Post I, Rs.750/- for other Posts through online mode. No fee for SC/ ST/ PH candidates. How to Apply: Eligible candidates may apply online through the website “kvsangathan.nic.in” from 27-09-2016 at 09:00 hrs to 17-10-2016 up to 24:00 hrs. Start Date to Apply Online: 27-09-2016 at 09:00 hrs. Last Date for Payment of Fee in Bank Through E-Challan: 22-10-2016. Last Date to Apply Online: 17-10-2016 up to 24:00 hrs.